Avoid a panic at Paddington or a nightmare at Notting Hill when you follow our guide to using the London Tube. Navigate the Underground like a local and get the most out of your London holiday. Find out what you need to know below! How to pay on the London Tube? How do I know what line to take? What are the peak Tube times? Does the London Underground run late? Heading to the United Kingdom? Get a free quote for travel insurance to protect your trip. 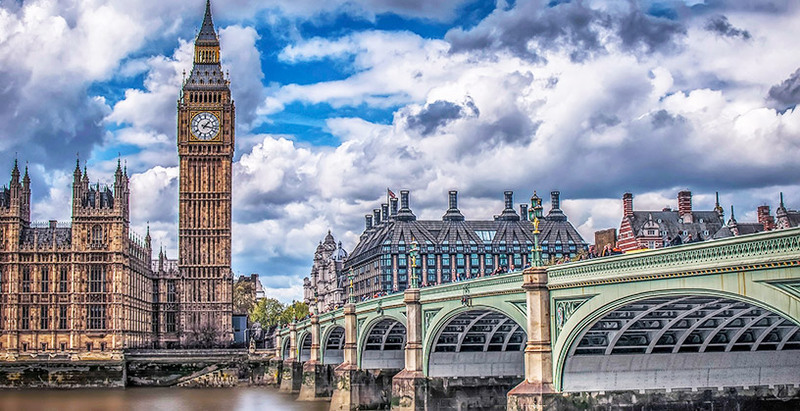 When you figure out how to use the London Underground system, find out the best things to see in London and start ticking them off your travel bucketlist! How do I pay for the London Tube? Take advantage of all that London's public transportation system has to offer with an Oyster card. This plastic smartcard holds pay-as-you-go credit and can be purchased at any Tube station or ordered online. 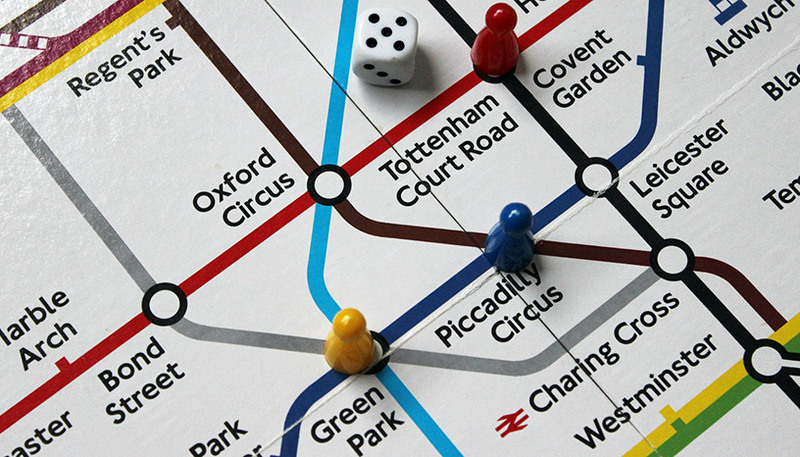 Use cards on the Tube or on the bus – your money is good everywhere with an Oyster card. The cost per trip varies depending on which "Zone" you are travelling to. Central London is located in Zones 1 and 2, so pick that pass and simply top up as you go. Can I use my credit or debit card to pay for the Tube? London's public transport has just gotten easier to use! Now most credit and debit cards that have the contactless payment ability can be used just the same as an oyster card. By using the same card to touch on and off the train, you will be charged an adult fare. Overseas transaction fees might be charged for non-UK cards, so it is best to check with your card issuer before you do this. This charge will only happen once a day, not every time you travel. Can I pay use Apple Pay or Google Pay on the Tube? Yes, you can! Google Pay and Apple Pay are available to use, just the same as a debit or credit card. These contactless methods are quick and easy and will mean no queuing for a ticket! Mobile payments such as bPay, Fitbit pay, Garmin Pay and Samsung Pay are also able to be used on the Tube. Is it cheaper to buy individual tickets or use a card? Using an oyster card or contactless payments are cheaper than buying single tickets at each stop. Daily capping also applies to all users of the Tube and other public transport, which means if you make a lot of journeys in one day, the total cost of travel that day will be capped at a certain price. You can benefit from weekly capping if you use these contactless payment methods too! Have a read of our top travel tips when exploring the United Kingdom and the rest of Europe here. How do I know what line to take on the Tube? The London Underground is no simple system. We recommend getting your hands on the map or the app to have all the timetables and routes at your fingertips. The map gives a really good overview of the city's transport structure as well as main attractions. Trust us, you'll want zooming capabilities for this extensive system. Download the official Tube map from the London Underground and keep this folded up in your passport or in your pocket so you're sure to never get lost. Or, for the high-tech travellers in our midst, download the Tube Map app from the London Underground. It is available in the Apple App Store, in Google Play, or in the Windows Phone Store. What are the peak times on the London Tube? The London Tube is always fairly busy, but peak hours are Monday to Friday are 6:30am - 9:30am and 4:00pm - 7:00pm. Not only will the Tube be busy with office workers, but there are also peak fares that apply - so try and do most of your travel out of these times! If you're out on the town, remember that the Tube closes around midnight and doesn't usually open until the morning rush. Make sure to schedule time and keep a backup mode of transportation in mind. Does the London Underground Tube run late? The Tube is an old system (the rail work dates back 150 years), so don't get your hopes up when it comes to punctuality. If you really need to get somewhere on time, don't leave it to chance on the Tube. Plan to get to the station far earlier than you think, or plan an alternate mode of transportation. The good news? The Tube is often the favourite scapegoat for many Londoners — whenever you're late, just blame it on the Tube and avoid the explanation. Did you know the Tube can easily get you to some of London's best museums? Check out which museums you should visit! What are tips for tourists using the Tube? If you're travelling on the London Underground, get used to this friendly phrase. "Mind the gap" is the British way of telling you not to trip when entering the vehicle. Unless you want deadly consequences, steer clear of falling into the gap. Relinquish your seat for pregnant women, the elderly, and disabled. Move down the carriage to make way for new people. Regular track work takes place on Saturdays and Sundays in London. If you must travel via Tube on the weekends, expect massive delays. The underground in London doesn't run 24/7, so make sure you know how to get back to your accommodation safely using an alternative way. Depending on the tube line, most open just after 5am and close before 1am. When you need to get around the city outside of the Tube's operating hours, consider taking a taxi, Uber or private car to get you from A to B. Now that you can navigate the London Underground like a pro, you're all set for your British holiday. But don't let your trip get derailed before it even begins. Travel around London and the UK with peace of mind so get a free quote for travel insurance to protect your adventures. Want to read more about European holiday destinations? Head over to our travel blog for all the latest travel tips and tricks. Limits, sub-limits, conditions and exclusions apply. Insurance administered by Cover-More Insurance Services Pty Ltd (ABN 95 003 114 145, AFSL 241713) on behalf of the product issuer, Zurich Australian Insurance Limited (ABN 13 000 296 640, AFSL 232507). Any advice is general advice only. Please consider your financial situation, needs and objectives and read the Combined FSG/PDS before deciding to buy this insurance.